Easter will fall on April 1 this year. It is one of the important day for Christians. Jesus Christ was crucified on Good friday and later he was put into the grave. Towards the third day after Good Friday when devotee of Jesus Christ went to the grave, he saw Jesus Christ was not there. This marked that Jesus Christ was alive. 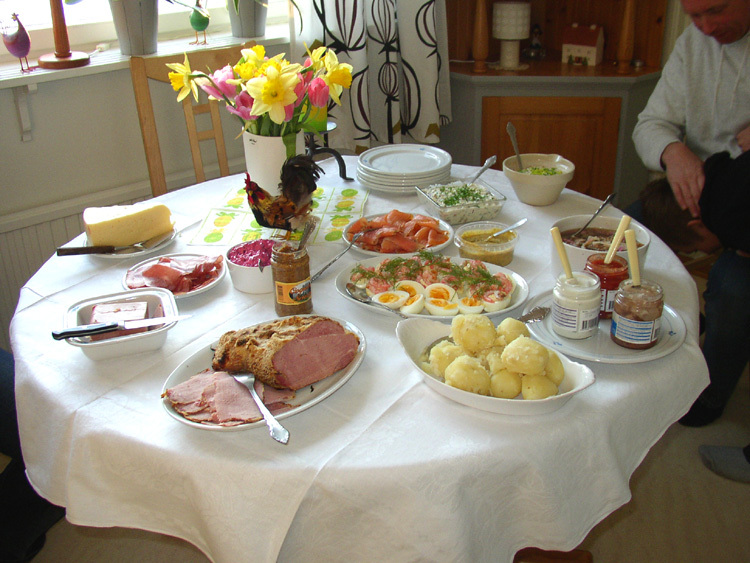 Easter feasts is largely associated with long-eared bunnies and hot cross buns and eggs filled with chachkies are the most important meals for Christians around the world. They prefer having good food stuff on this day as it is one of the happy days of Christians. Easter welcomes a basket full of delicious delicacies which range from cheesy delights to sumptuous cakes. The some most famous food which is cooked on the Easter Sunday is Roseanne Aunt’s Scotch Egg with Mint Chutney. It is prepared by potatoes with chicken. Chicken Ham and Walnut Hye Rollers is yet another stuff which is most famous in Christians. Steamed Fish with Buttered Bell Peppers is yet another foodstuff which is largely prepared and loved by the Christians. Salted Crème Caramel is prepared and people are fond of it. As it is a day of happiness it is largely welcomed. White Chocolate and Mango Mousse Egg are prepared and it is loved by Christians. Easter was considered as an Easter as this day marks Renewal and rebirth. This festival is celebrated in the early spring season. The meaning of Easter was changed so as to reflect its new Christian orientation. No specific day is there which marks the celebration of Easter. This year Good Friday was celebrated on March 30 so Easter will fall on April 1. Different food items will be prepared on this day in church as well as in the homes of the Christians.